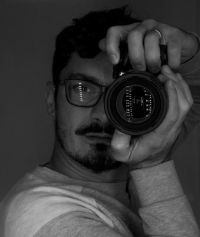 Giacomo Giannelli is a professional photographer born and bred in Cerignola, Southern Italy. In 2009, he graduated from the Academy of Fine Arts in Rome in Stage Design. He has since been undertaking a variety of projects in Visual Art around Europe. He was nominated for Cannes Festival and won some awards in Italy. He decided to move to England later on to pursue a career in photography. Living in London, he has been working on projects such as portraits, landscapes, still life and culinary. His work displays the use of natural lights to capture the moment even more significant than words are able to convey.